How I lost weight and now have an ambitious goal to achieve ultimate strength. Rowing. The best machine to use, it's become my best friend. Exactly one year ago, I weighed in at 105kg. I was morbidly obese and my health was slowly getting worse. In three months after a traumatic event in my life, I lost 30kg and changed my lifestyle around. Every day during those three months, I woke up thinking, I must change and heal, and that's exactly what happened. How did I loose the weight? I ran. I ran a lot. At the time I had a lot of bad thoughts and valued my life a little. Running for approximately one hour to three hours a day, with rest on weekends, really helped strengthen my mind set and give me time to understand what was happening in my life. I started by running ten miles in three hours and I got better and better. In two months I signed up for a half marathon and ran the 13.2 miles in one hour 40 mins. Running did it. It made me lose all my excess weight. I also made sure I was not eating any more chocolate, sugar, dairy, decreased all carbs and just ate a lot of fruit in the morning and a high protein meal in the evening. The mental well-being of losing so much weight? I never considered this would be a problem but when I was fat, I was large. Everything was big from my arms to my legs. Losing a toddler in weight really made everything smaller. My arms became incredibly small and so did my legs. There would be certain days where my mind would refuse to believe that my arms and legs were indeed mine. I also had a lot of loose skin due to the rapid weight loss. Having supporting family and friends really helped and they just reassured me that I was still "OK." The time spent with supporting family and friend gave me time to adjust to my new body and stop thinking so much about the change. Strength. The last four months I have been trying to incorporate weights into my cardio workouts. I started by using the rowing machine to achieve a complete body workout whenever I would visit the gym. I also attempted nearly all the lifting machines at the gym. My body made very little change until I stumbled on CrossFit. CrossFit is a method of training that aims to give you a more "functional" body, a body that makes you better at doing everyday tasks. You achieve this by doing intense sessions that involve repeating movements that you do as fast as you can and as powerfully as you can. I started doing things like squatting and throwing heavy balls around. I started to see a real difference in my body, I was gaining some tough muscle and I was really enjoying myself. That's right, I really enjoyed myself. At this point in my life, I have finally succeeded in creating a lifestyle change, because I no longer see this as torture and pain. I now use this time to clear my head and have fun. I lift weights "paying the man" to retain my health and improve my future self. My loose skin has started to bounce back due to the muscle gain and I have started to feel more confident in my own body because everything is starting to get bigger and stronger. I've broken my barrier and once you've done that there is no limit. The limit is your imagination. I now aim to do a triathlon by December 2017 — Swim, Bike, Run. I've achieved the endurance required for running. I now run six miles on the weekend or on a Wednesday with a running group. 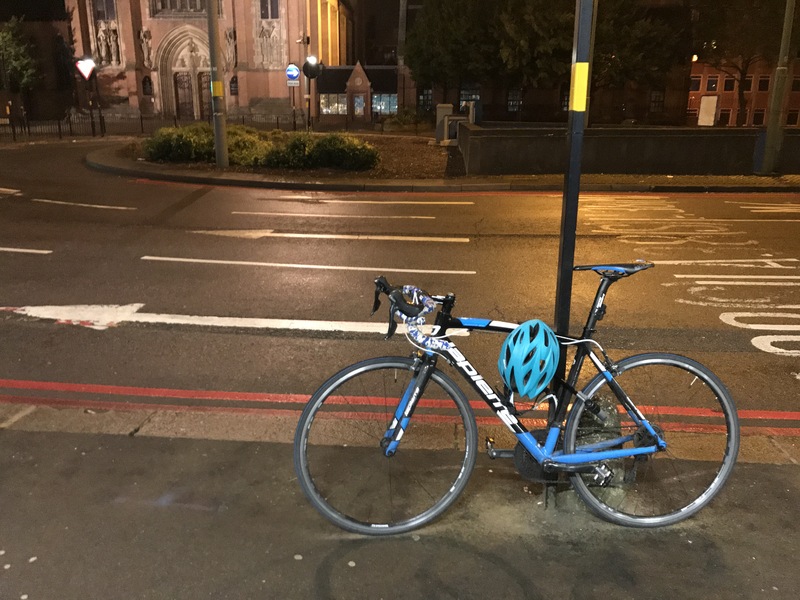 I've cycled many, many, many miles and have incorporated cycling twice daily as a method of commuting to and from work. The swimming, I'm slowly catching up on because I find it the most difficult, time requiring and expensive out of the rest. I've got the motivation to complete this goal, I've got the tools and all I need to do is stick to the plan. Should I continue to do so well and get better, in a year's time my aim might be to even compete in the CrossFit tournaments in late 2018. Al currently lives in the UK. He is undertaking a PhD in Structural Biology at Leicester University and with his free time you'll find him doing various adventure sports and CrossFit training.